Apple has become a giant in the electronic industry for producing its well-known devices like iPhone, iPad, and Macbook Pros. However, there are some customers, who recently faced some technical issues while using Apple’s devices. Most of the Apple devices seem free from any sort of glitches, technical issues, or lags. However, recently a large number of apple MacBook users reported strange audiovisual glitches problems. The majority of the people who faced this problem were top professionals, who upon investigating found to be die-hard apple lovers. Nonetheless, their argue was that they did not expect such technical issues from a renowned and technically sound company like Apple. 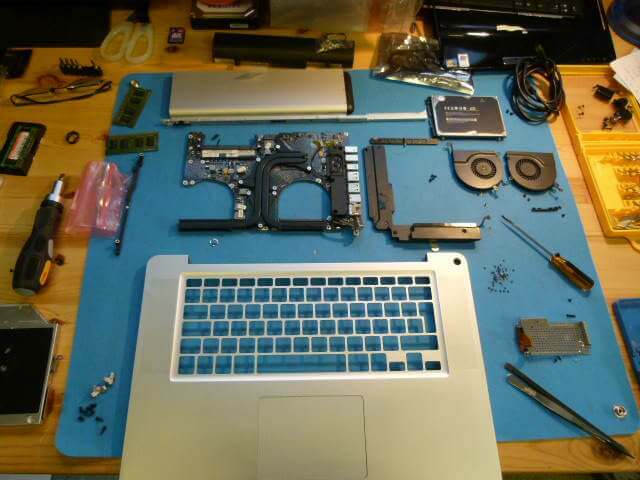 Customer, who had purchased apple devices, especially MacBook, can find the repair procedure by using the Apple’s Dedicated Tool. This tool could be used in North America and some surrounding areas from February 20th 2015 and onwards. However, for those, whose devices are already repaired, Apple is ready to reimburse full payment to the owners. Apple’s spokesperson mentioned that the issue reported by the consumers is right. They have checked and have agreed to fully refund the money to the owners of the devices. The spokesperson also agreed that owners, who already have repaired their devices due to these issues will be given full reimbursements without any delay. Further, the devices within the model range will be tested and the issues will be checked so that the customers shall not complain such issues in the future. Further investigation has been processed and according to the recent documents shared by the court, the issue was caused due to the lead-free solder used in the manufacturing of the devices. The reason for using the lead-free solder is still not disclosed; however, it has been checked and verified that using a lead-free solder can cause sudden short-circuiting. This may further cause device not to work properly or may cause glitches in services like video playing or systems restart. Having been said, a committee has been reformed to investigate the issue thoroughly and the results will be shared soon with the company’s management and with the media later on. In order to avoid further issues related to video glitches and system reboot, the spokesperson of Apple has confirmed that it is the sole duty of the manufacturing unit to test these issues in the future and not to disappoint the customers with the bad quality of some pieces included in the manufacturing of the devices.